The fence panels of ipe wood, together with Arbutus trees, define the new outdoor room but don’t completely block the view from the street. “We have a warm, friendly neighborhood, so I didn’t want anything barrier-like,” says Ginny. The pavers are set neatly in gold-colored gravel. 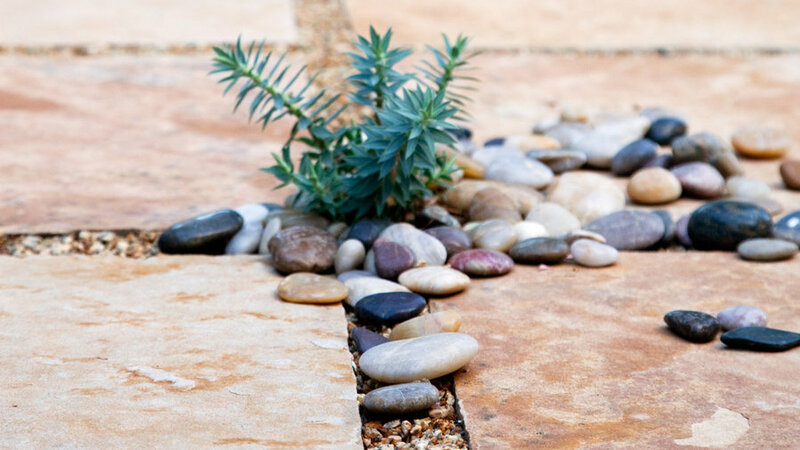 The overall look’s a bit wild, though, thanks to a few small grasses and euphorbias tucked here and there between the pebbles. 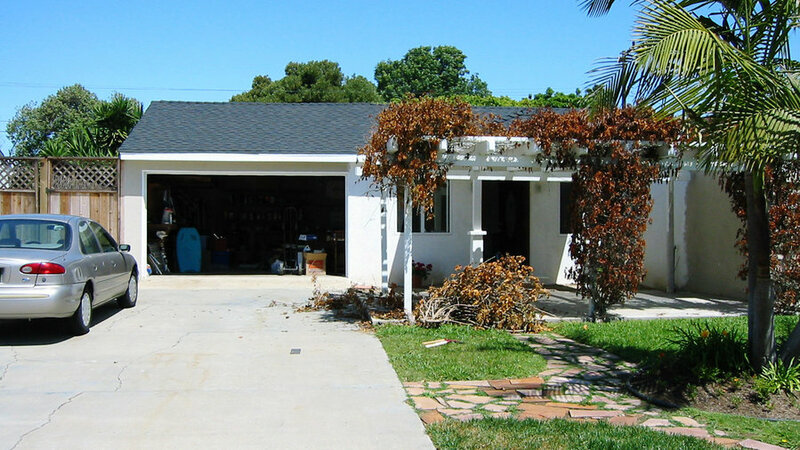 This Costa Mesa yard was little more than 1,500 square feet of tired lawn and broken tiles in a challengingly arid climate. 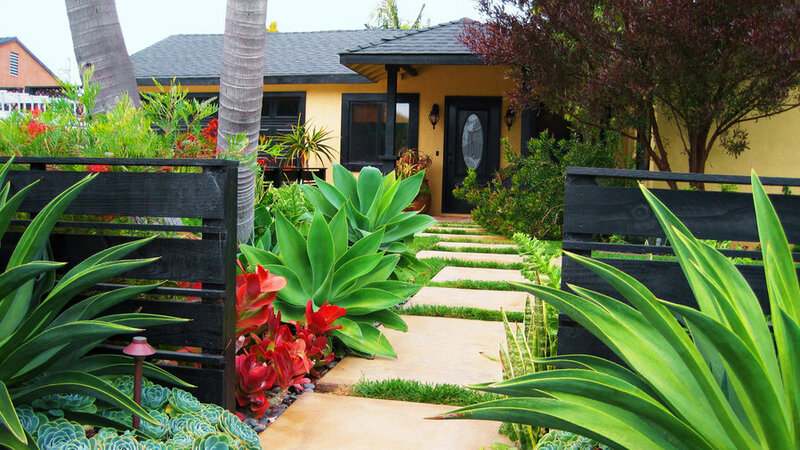 Landscape designer Brooke Dietrich added a fence and then—inspired by the king palm —went for size and color in her plantings. 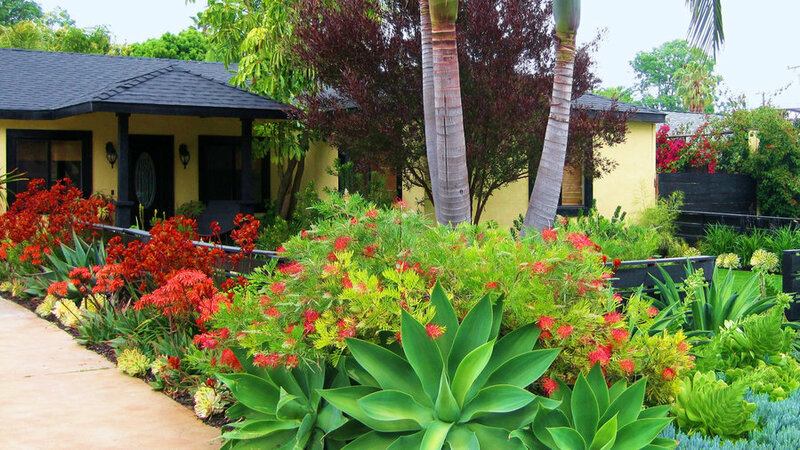 Building this garden around an existing king palm called for vibrant flowers, cool foliage, and strong shapes. 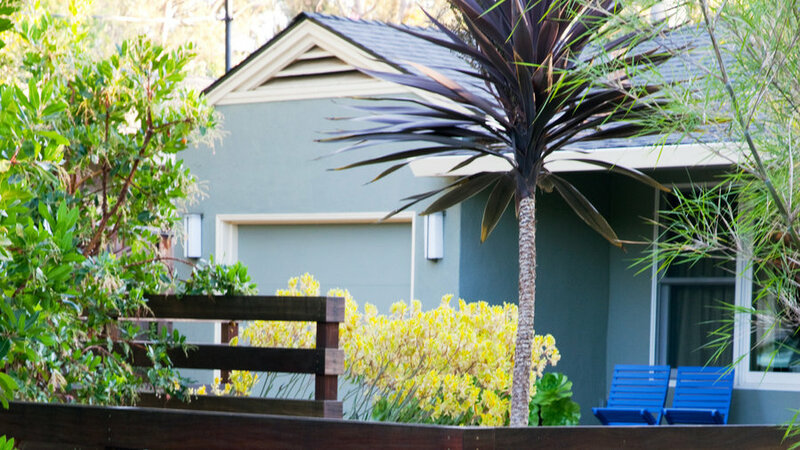 Whereas Ginny’s fence is a rich auburn that picks up her trees’ rust-colored bark, Brooke Dietrich chose to paint hers a plant-framing black. 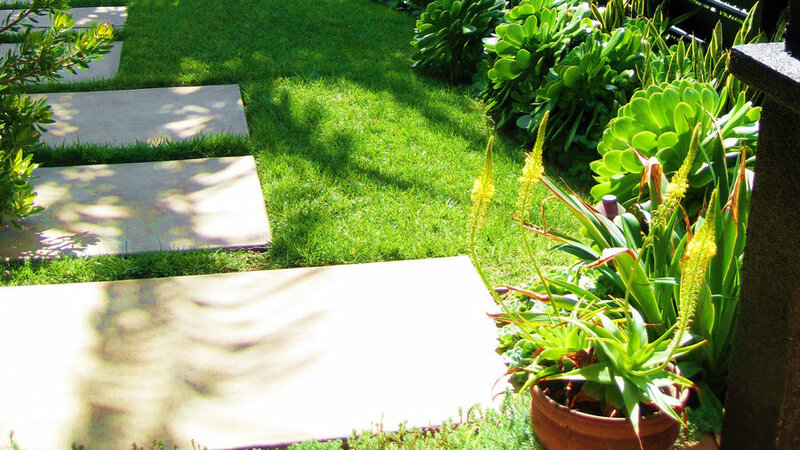 To cut costs, she kept her hardscaping to a minimum, adding only a new front walk made of budget-friendly concrete. Then she planted shrubs and perennials, placing colorful blooms outside the fence and quieter green plants inside the fence. 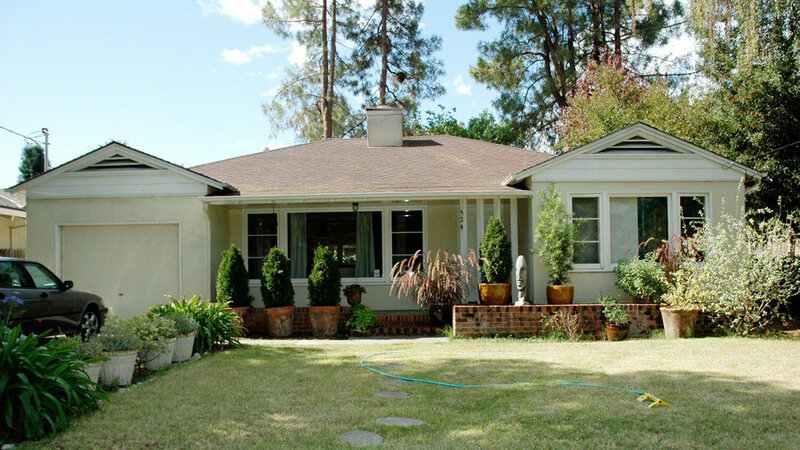 The effect is breath­taking, especially in winter and spring, when almost the whole yard is in full bloom. 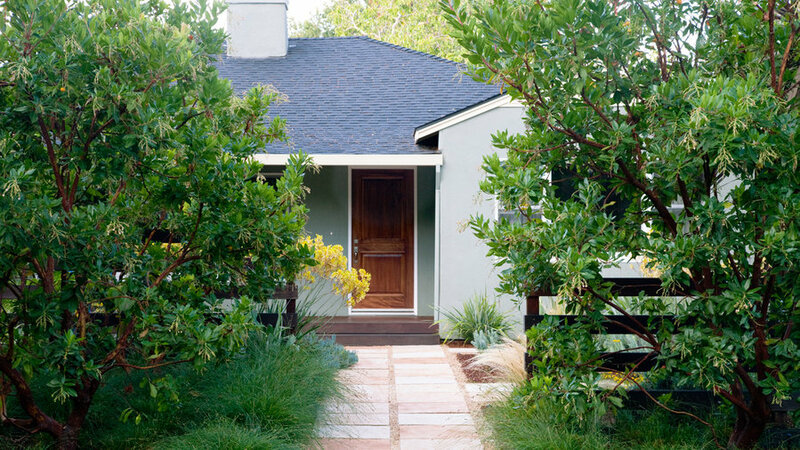 A series of off-kilter concrete pads, stained a warm sandstone tone and flanked by imposing Agave attenuata, now leads toward the front door from the street. Hot-colored flowers—coral aloe, chartreuse euphorbia, lipstick pink grevillea, and, yes, kangaroo paws again (this time in bright orange)—add punch to the outer garden, while a judicious splash of blue Senecio mandraliscae tones down the heat. 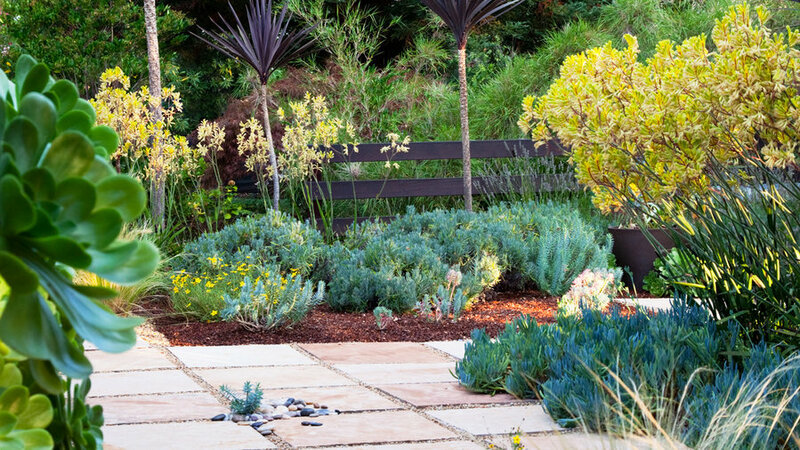 Bold succulents—agaves, aloes, and aeonium—give Brooke’s garden the tropical foliage she wanted without the heavy water requirements. There’s also a lot less lawn to be irrigated now—she left just enough grass to spread out a blanket.